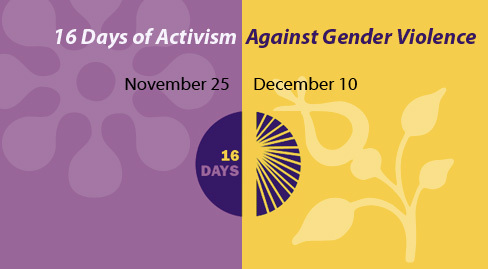 Why 16 days of action? The 16 Days Campaign is an international campaign started in 1991. Since then, over 5,000 groups in 172 countries have taken part. The campaign runs from 25th November (UN International Day of Elimination of Violence against Women) to 10th December (Human Rights Day). It spans these 16 days in order to highlight the link between violence against women and the human right of all (regardless of gender) to personal safety and security. In 2015, we have decided to participate in the 16 days of action in order to highlight that despite the idyllic island on which we live, there remains an unacceptable level of violence within our community, our family, whanau and our homes. The actions within the 16 days are simple –to raise awareness, to engage our community in a dialogue about violence on our motu and to reach out to everybody impacted by violence, whether they are victims/survivors, perpetrators, witnesses or supporting others. You are not alone and as a community we are here to support you in choosing safe and respectful ways of relating and living. You can see what we’ve planned for the sixteen days by clicking on the calendar dates on the right.